My photography Group theme this month is Hands. 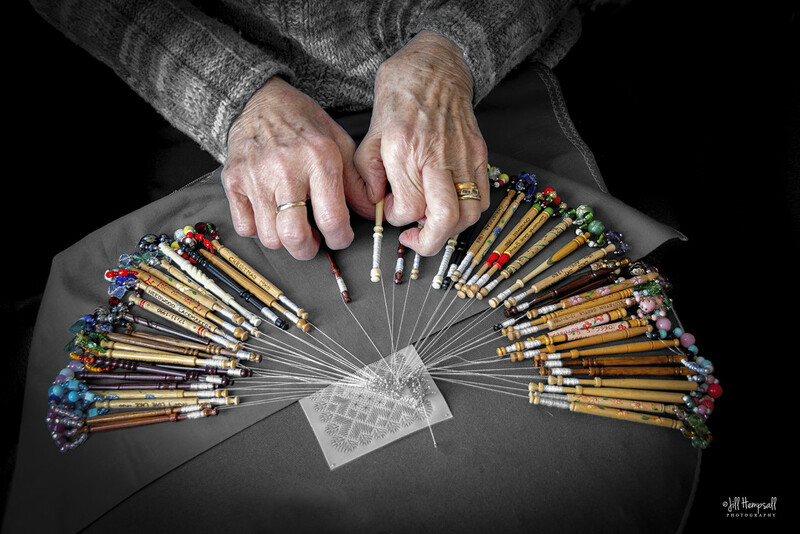 This is my 84 year old friend who has been lace making for many, many years. I haven't been posting my photos because I just don't have time to comment on everyone else's and it seems unfair. I get time to look occasionally, but not often enough! I love hand photographs, particularly active hands. Lovely composition and such fun colors.